“Wrap Up” Your Tucker Hill Visit with Free Gift! From now through the holiday season, our builders invite everyone who tours a model home to “wrap up” their Tucker Hill visit with a special gift! Simply stop by one of our model homes. 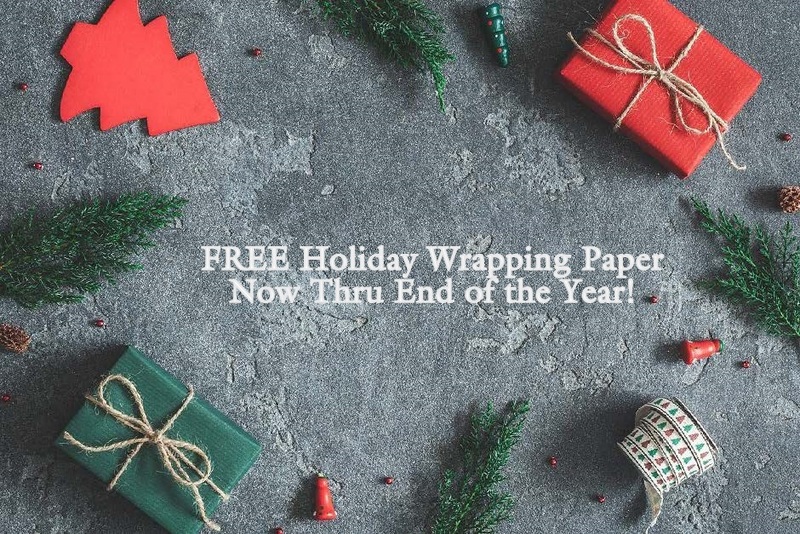 Then, pick up a complimentary roll of Hallmark holiday wrapping paper (while supplies last). Find our model home addresses for Darling Homes, David Weekley Homes and SLC Homebuilding, LLC here. Helpful tip! Consider coming later in the day to visit our model homes. As the sun sets, the holiday lights come on and you and yours can drive through the community and enjoy some amazing holiday decor! Here’s a photo gallery to give you a taste of Christmas in Tucker Hill!